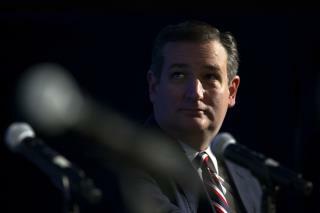 (Newser) – Donald Trump promised to "drain the swamp," and in the Washington Post today, Sen. Ted Cruz and Rep. Ron DeSantis have an idea for how to do just that: congressional term limits. When the 115th Congress convenes, Cruz (who is in his first term) and DeSantis (who will be starting his third term) will introduce a constitutional amendment that would put a three-term limit on members of the House and a two-term limit on members of the Senate. "On Election Day, the American people made a resounding call to 'drain the swamp' that is modern Washington," they write, and "passing term limits will demonstrate that Congress has actually heard the voice of the people." Donald Trump promised to "drain the swamp," . . And he is doing just that and putting in some bigger Predators. Why does the government collect taxes? Is it to help people and the country because they care? No. Priority one: There are a LOT of politicians in this country and they all want to pay themselves indecently HUGE salaries. Their only concern is to make sure they and their own families have a good life of luxury and a secure future. All other considerations are secondary, and sometimes, void. Salary of a Senator .... $174,000 FOR LIFE. Salary of Congress Speaker of the House .... $223,500 FOR LIFE. Salary of Senate Majority Leaders .... $193,400 FOR LIFE. Salary of RETIRED United States Presidents .... $180,000 FOR LIFE. Average Salary of a teacher .... $40,065 until retirement. Average Salary of Soldier DEPLOYED IN AFGHANISTAN .... $38,000 until end of tour. i think i've figured out where some budget cuts could be made!